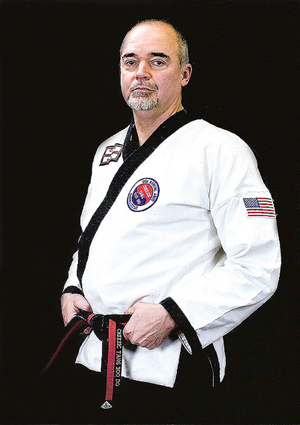 USA Martial Arts is owned and operated by Doug Wilke. Master Wilke has been training in the martial arts since 1966 and has attained a 8th Dan Master Black Belt in Cheezic Tang Soo Do Karate, and a 1st Dan black belt in Jujitsu. An accomplished competitor, he was nationally rated in sparring, forms and weapons divisions. He was inducted into the Professional Karate League (PKL) Hall of Fame in 1996, into the Action Martial Arts Hall of Fame in 2004, and into the Cheezic Tang Soo Do Hall of Fame in 2011. A graduate of the University of Connecticut, a parent, and martial artist, Mr. Wilke is committed to developing the physical ability and character of each and every student. Master Wilke operates his Studio in Woodbury, CT. Mr. Wilke also brings this Korean style of karate to various Park & Recreation Programs in many surrounding towns. Tang Soo Do is for everyone, at every age, at every level of fitness. Whether you’re a kid who simply enjoys karate classes, the talented teen/young adult who loves tournaments, or an older adult who hasn’t worked out in years, there’s a place and a program for you here at USA Martial Arts. You don’t have to be a Super Star – we simply encourage every student to become their personal best, and provide the right training, no matter what your age or inherent talent, to do so. A good number of our students have trained in other karate programs or disciplines, and have come to our studios for a more appropriate martial arts experience. Beginner through advanced classes are offered in both the Studio and the Park & Rec Programs.